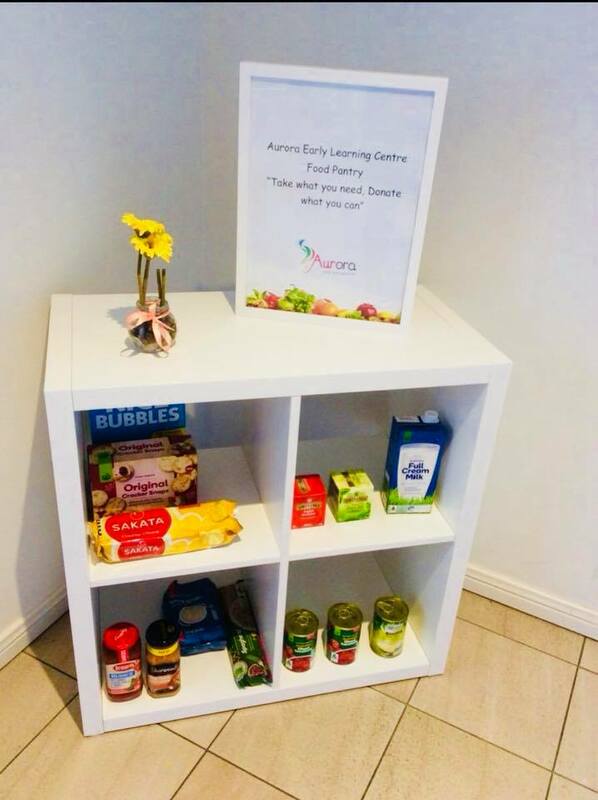 Blog Aurora Early Learning Centre Blacktown Child Care. This week we are participating in the Early Childhood Education Week Program. 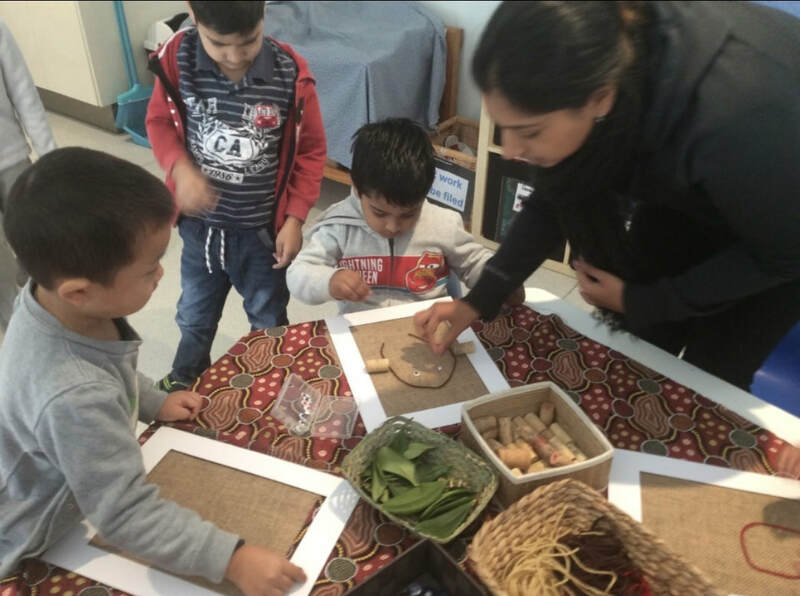 This program is a great opportunity for Educators to showcase their important role in the Early Childhood Sector and to promote that "play is educational". So what does it mean? 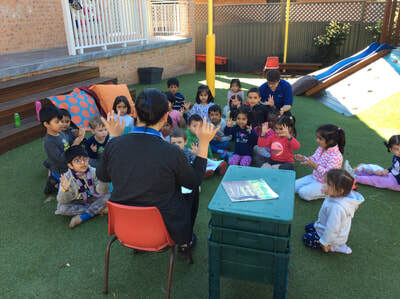 The early years education and care service plays a significant role in the community, educating and caring for our children. 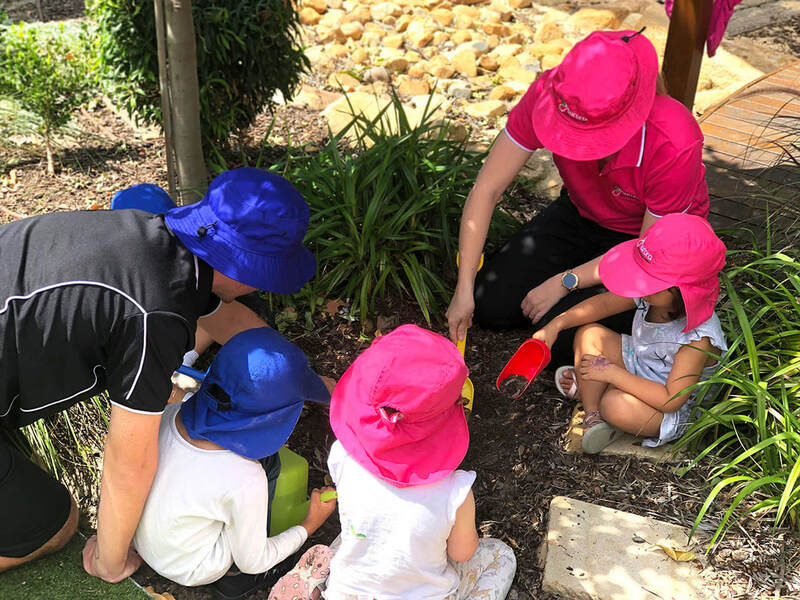 Early Childhood Education Week is a wonderful opportunity to continue raising the public profile of the quality service being delivered to children, their families and broader community. 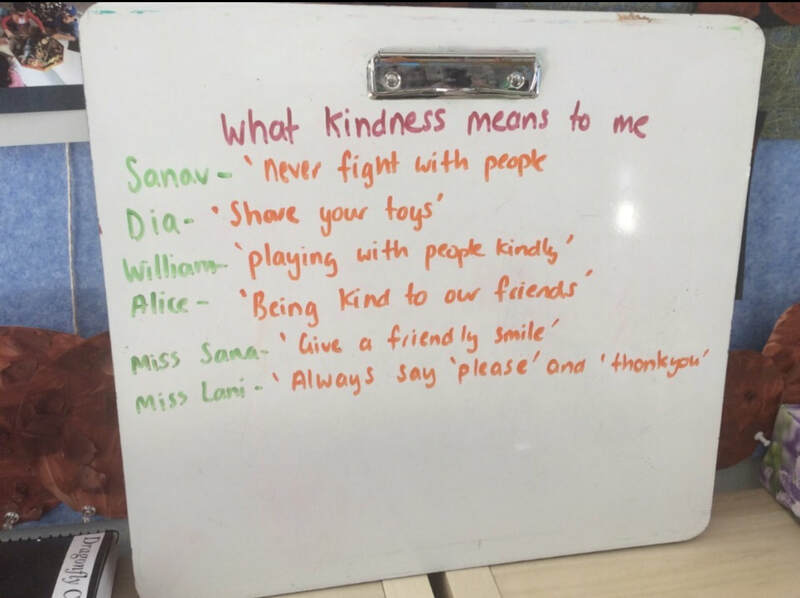 This morning the children sat with Miss Sana and discussed their ideas and suggestions of what kindness mean to them. 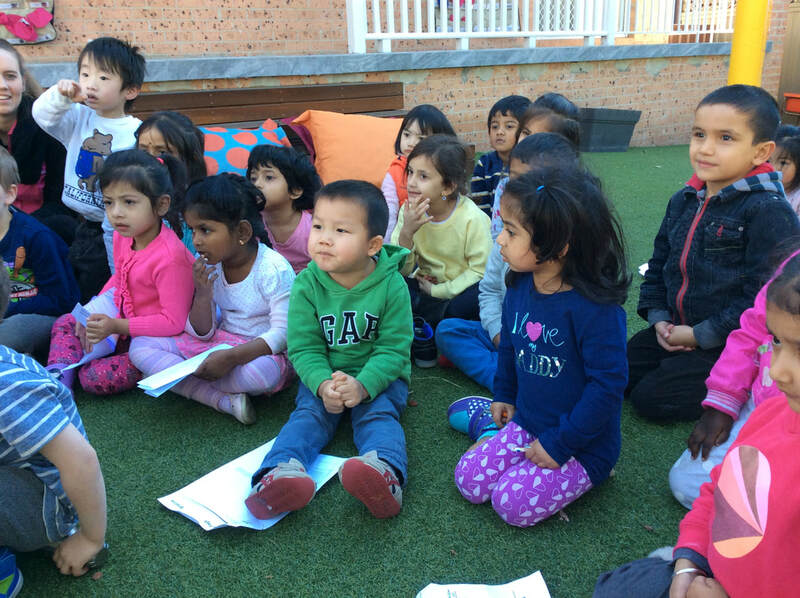 Miss Sana showed the children some visual scenarios of acts of kindness with their peers. She then wrote down the children's ideas of what it means to them. From here we extended on as a focus group the children where encouraged to say something nice and kind about the person was sitting next to them. This is a great example of the children building upon their confident social and emotional skills as well as fostering sympathy and respect towards each other as peers in the classroom. The children then extended on their circle time listening to some beautiful dream time stories such as "Wannayarra the rainbow snake" and "The Snake that bit the Sun". 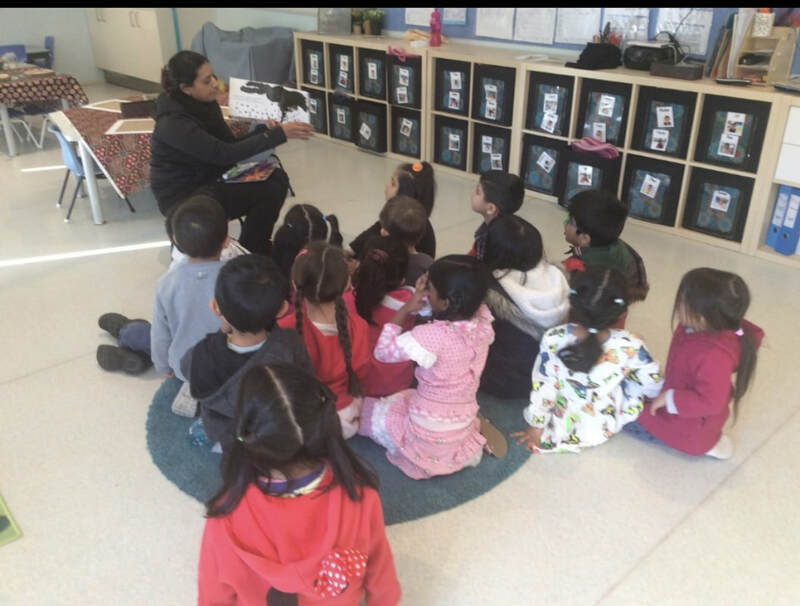 The children where very curious about the stories and enjoyed looking at the lovely indigenous illustrations painted by the children from the indigenous community. 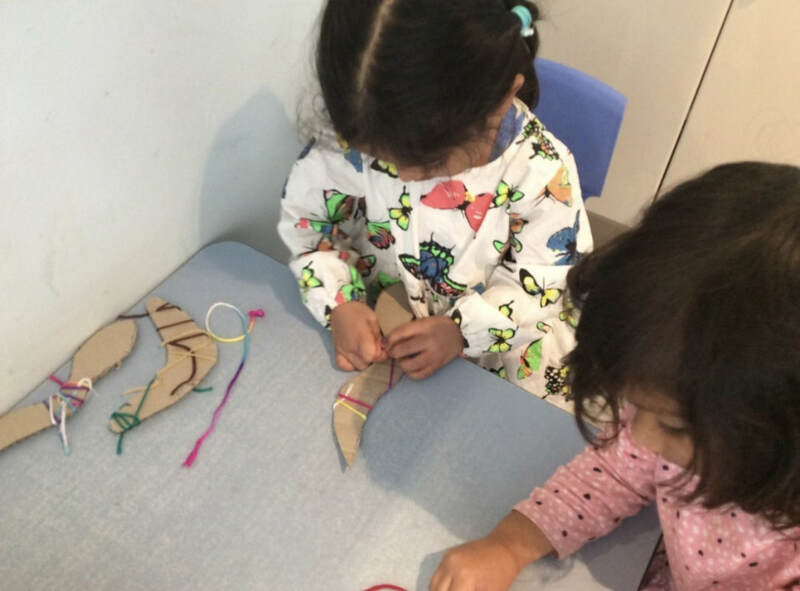 To extend on this experience Miss Sana set up a snake and boomerang threading and weaving experience for the children to build upon their motor skills and to reflect on their own understanding of the concept of the dream time stories. On the exploration table the children used glass jars and tongs to pick and choose the coloured small and large pom poms. 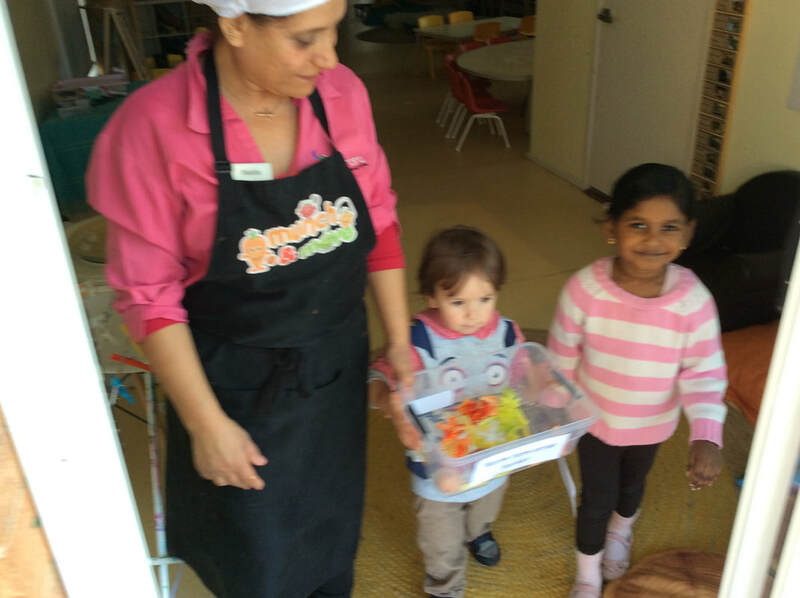 The children had a great time creating colourful layers inside the jars and sharing and turn taking with the tongs. The preschoolers also used the wooden sorting logs alongside the smooth coloured stones the children enjoyed matching and sorting the colours. 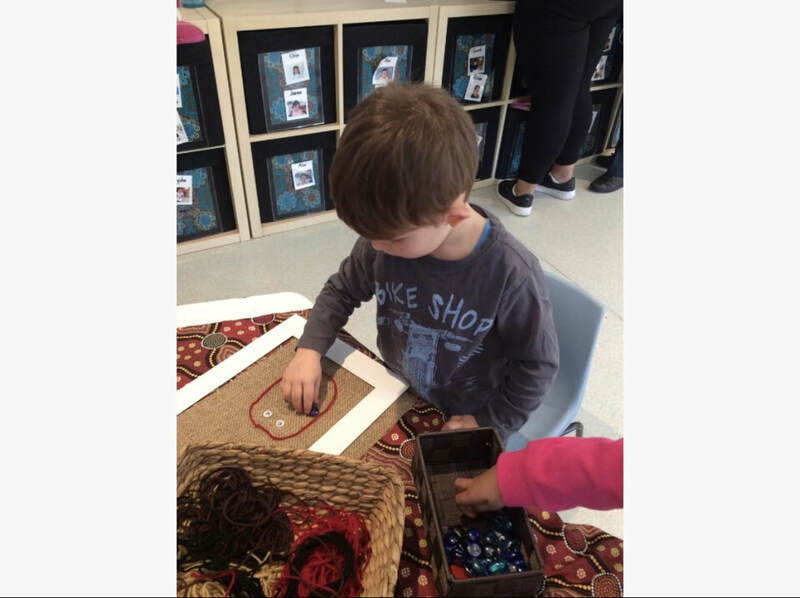 This is a great example of the children fostering their critical thinking skills as well as being investigative and curious learners through their play. Welcome to our Community Food Pantry. ‘Take what you need... Donate what you can’ is our new Community wide initiative. This is open to all our centre families, your extended families, your neighbours and anyone in our community. 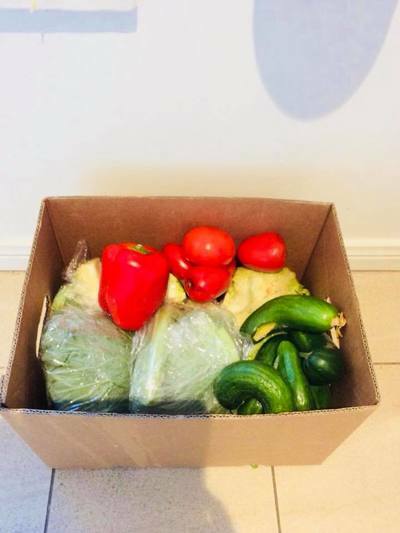 Whether it be that you’re going through a particularly difficult time at the moment, running late to run to the shops to pick a dinner item up or know of someone in our community who is struggling, please help yourself to our available food items. This will be replenished every few days. 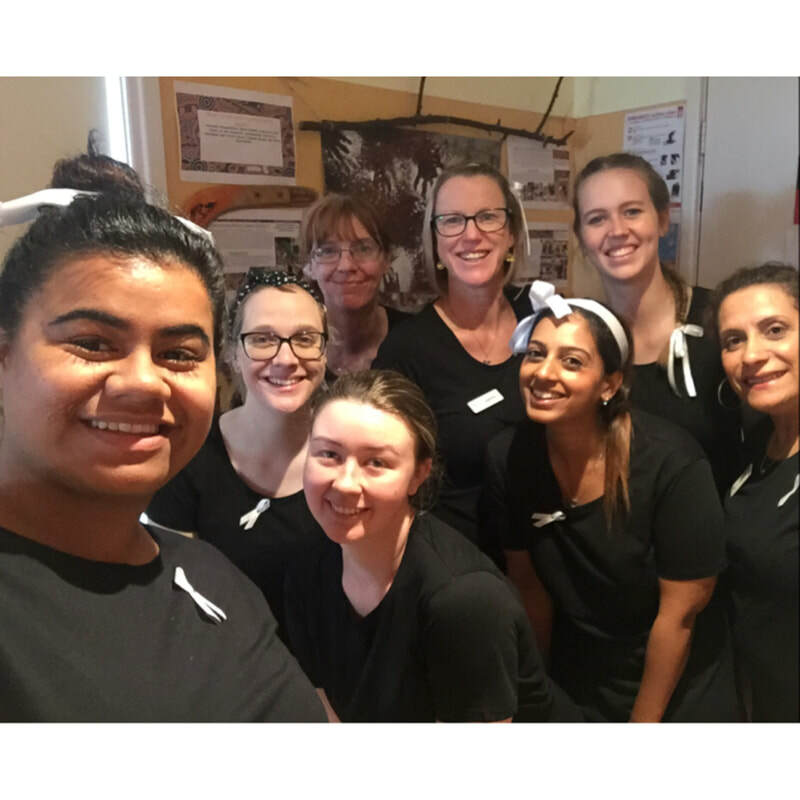 White Ribbon Australia is a social movement motivating men to walk beside women to build a society free from violence and disrespect towards women. It's a movement focused on men as agents of change. At Aurora, we support this cause for many reasons but mainly because violence against women has reached crisis levels in Australia. Statistics show that women are three times more likely than men to experience violence from an intimate partner. Domestic violence affects one in three women in Australia and is the main cause of homelessness amongst Australian Women and children. We urge you to look into the statistics on the subject. 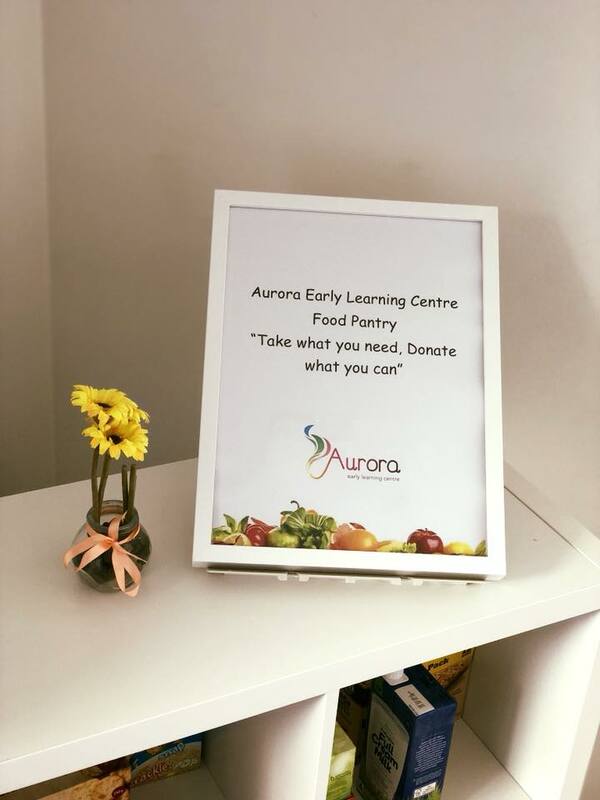 On Thursday 23rd November 2017 Aurora Early Learning Centre participated in a charity event with a cake stall, a Black and white Disco and a raffle! 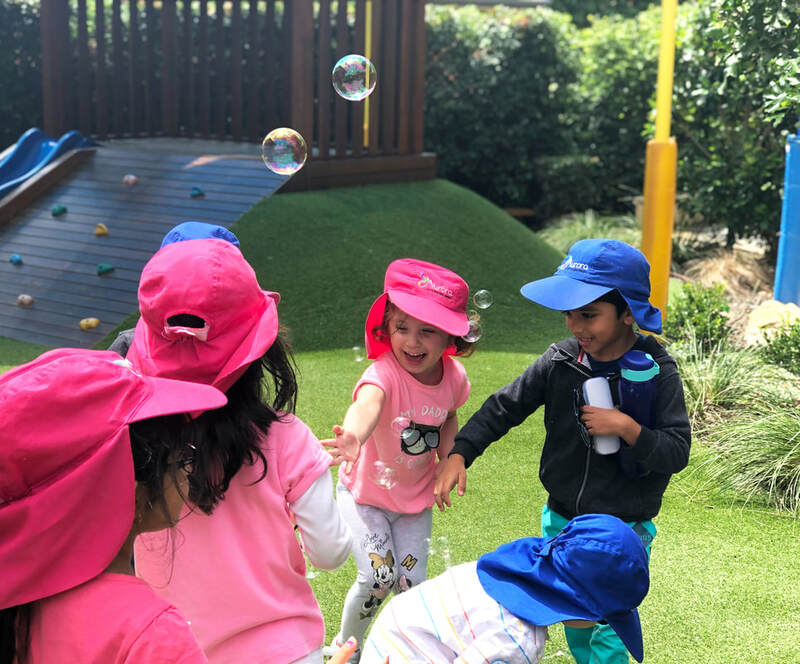 The children arrived at the centre in their black and white clothes and were ready to have a fun filled day to help raise money and awareness for a good cause! ​It is our aim to get people talking about and being aware of domestic violence including children. This will play a part in stopping it from an early age. The way in which we discussed it with the children, as it is a sensitive and controversial topic for young children was that it is not ok ever to hurt anyone! The white and black that the children were all wearing was a symbol of them not hurting anyone. All day at the centre we had a cake stall running with a huge range of cakes and sweets for the children and families to enjoy. 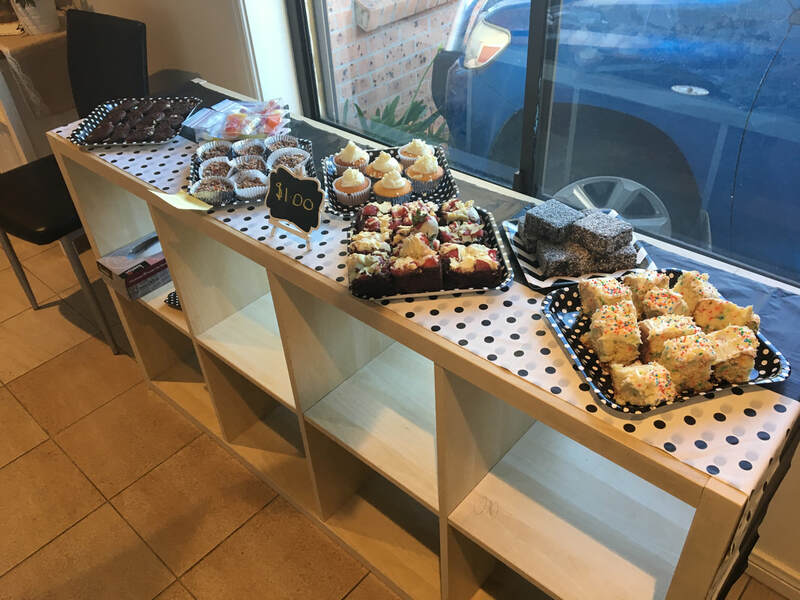 Each cake sold for $1 each and the cake stall alone raised over $100 for the cause. The week leading up the White ribbon day we sold white ribbons and raffle tickets! 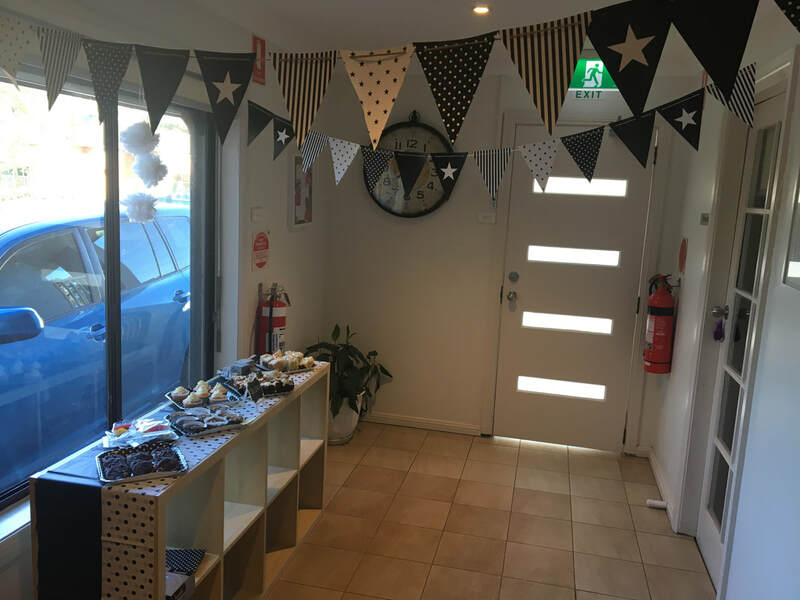 After all of the fundraising efforts we raised a phenomenal $305.65, which is the most we have ever raised for a fundraising event at the centre. Thank you to all our families who took part in, donated and helped us raise the money and awareness! It is with great pleasure and pride that we announce that we have received our final assessment and rating from the Department of Education & Training. 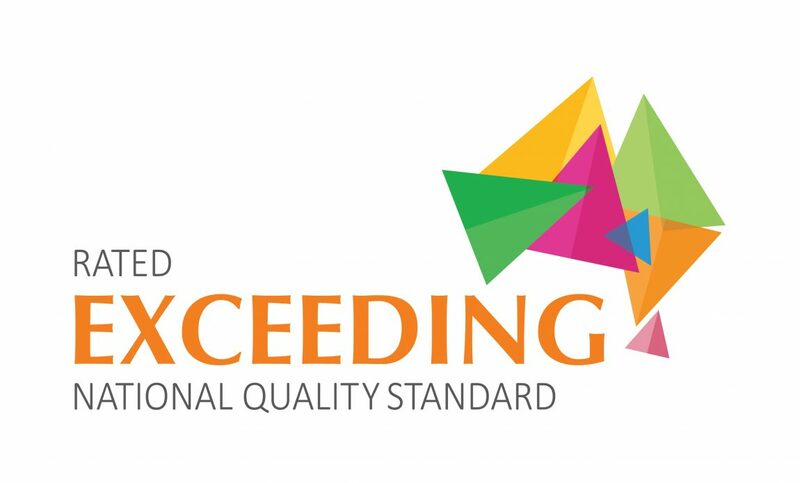 We have been awarded Exceeding National Quality Standard. There are over 15,417 centres in Australia, but only 3,601 have been rated exceeding, 1,004 of those are in NSW. With only 23% of all centres meet the exceeding standard, we are proud to be part of this small group of excellence. Through a full day detail inspection by NSW Dept of Education in August 2017, we were assessed against the 7 quality areas of the National Quality Standard (NQS) and given an overall rating based on these results. Our next challenge is to be awarded the Excellence in Education and Care which only 10 centres in NSW have been awarded. ​Huge thanks goes to our truly amazing team of Educators. Your commitment, hard work and dedication to the early childhood sector and the children in your care has shone through and rewarded accordingly. We extend a big thank you to our supportive families. It has been a real pleasure working with and looking after your little ones. We endeavour to continue to better ourselves in order to maintain and reach new heights. 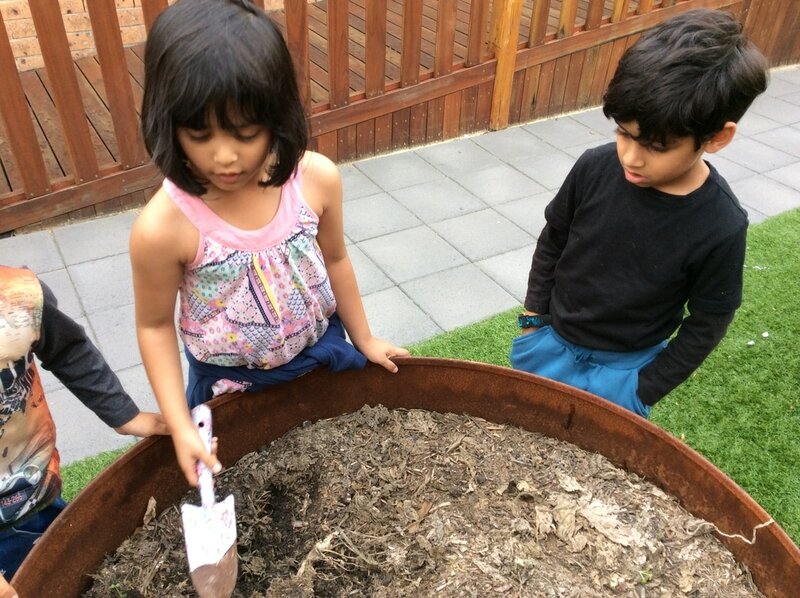 On Thursday 27th July 2017, the children at Aurora were involved in a Sustainability incursion to help the children and educators develop knowledge and understanding of embedding sustainable practices into their daily lives. We involved Blacktown City Council in getting this project up and running. We had Emma come to the centre to talk about recycling and rubbish and help us start our very own worm farm! Emma started off by showing us some pictures of different types of garbage trucks and bins. The children spoke about their own experiences with rubbish bins and were able to successfully identify what items were able to go into recycle bins. One child told Emma about how we have our own recycling baskets in the classrooms. 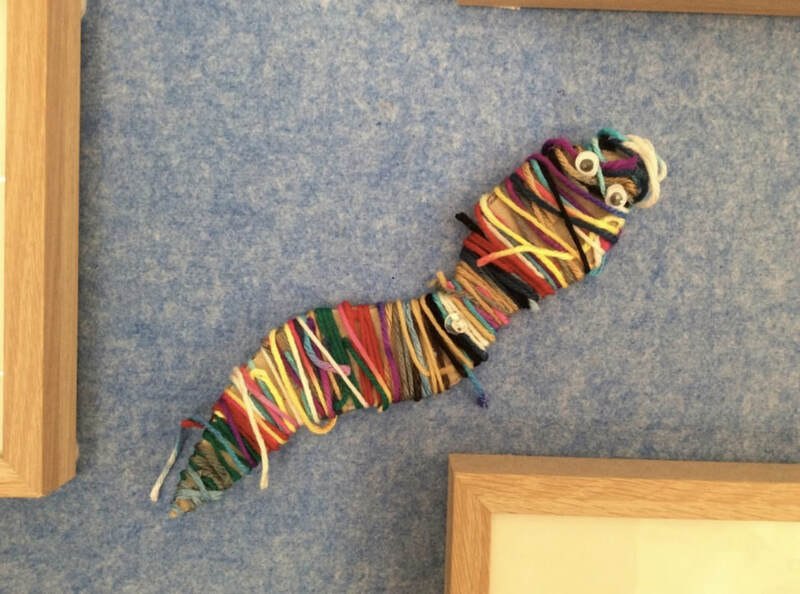 Emma showed the children the worms who will be making Aurora ELC their home which was met with much excitement and squeals from the children. 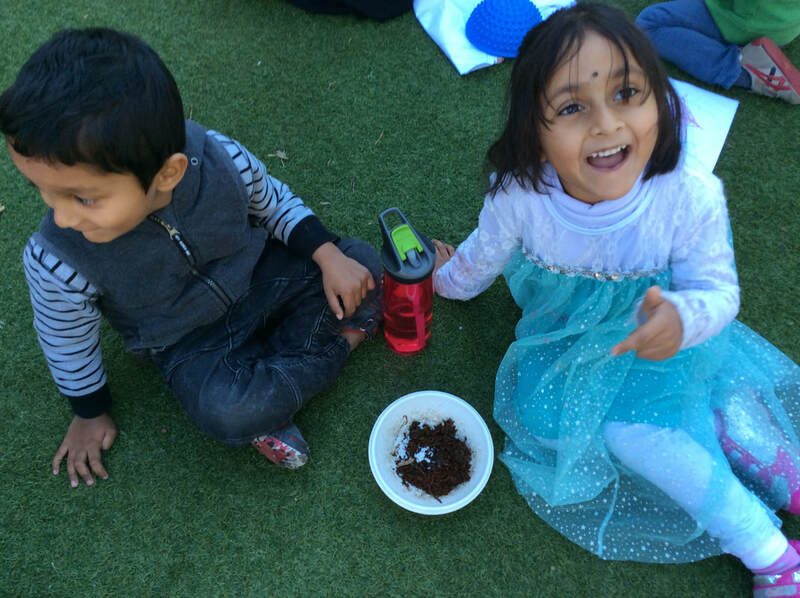 The children were then split up into small groups where they were able to touch and name the worms. The children came up with some great worm names such as Shirm, Wiggles, Jiggles and Boss Baby. 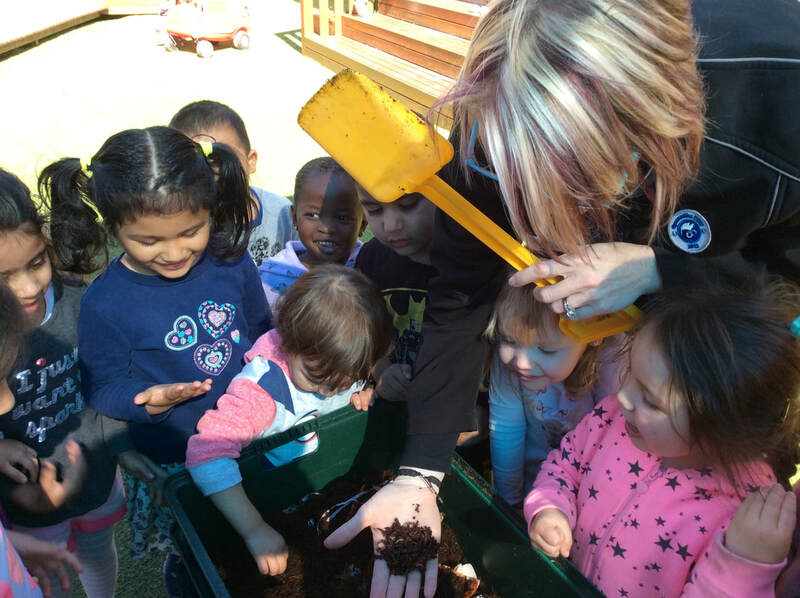 Once the children were finished acquainting themselves with our new worms, Emma showed the children and educators how to set up and maintain the worm farm and how to safely hold and handle the worms. The visit concluded with Emma reading a short story about the worms and what foods they can and can't eat! 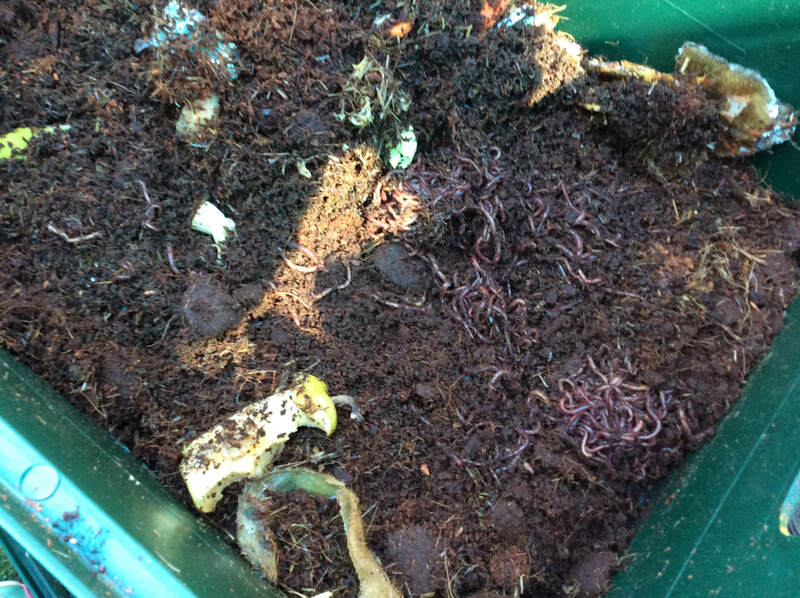 Since the incursion, the children have been eagerly checking on their worms and making sure they have lots of food scraps to eat. Before we place anything into the farm, we always check that it is safe for the worms to eat and won't harm them. 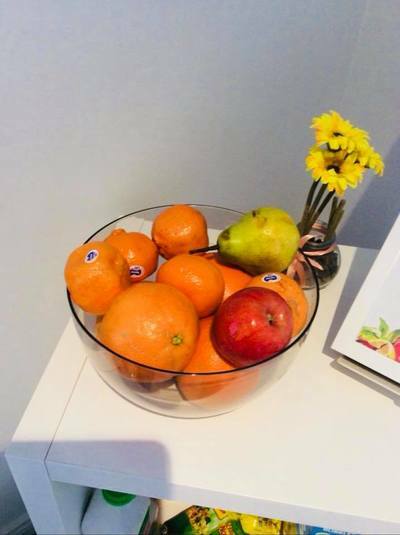 Miss Nadia has been saving her fresh fruit and veggie scraps from the kitchen as well as egg shells in order for us to feed the worms. So far as a centre, we have already reduced our waste load and the children are doing a fantastic job looking after their new little pets. ​From the Tenth to the Twenty Fourth of April we completed our Vacation care program with group of children varying in age. 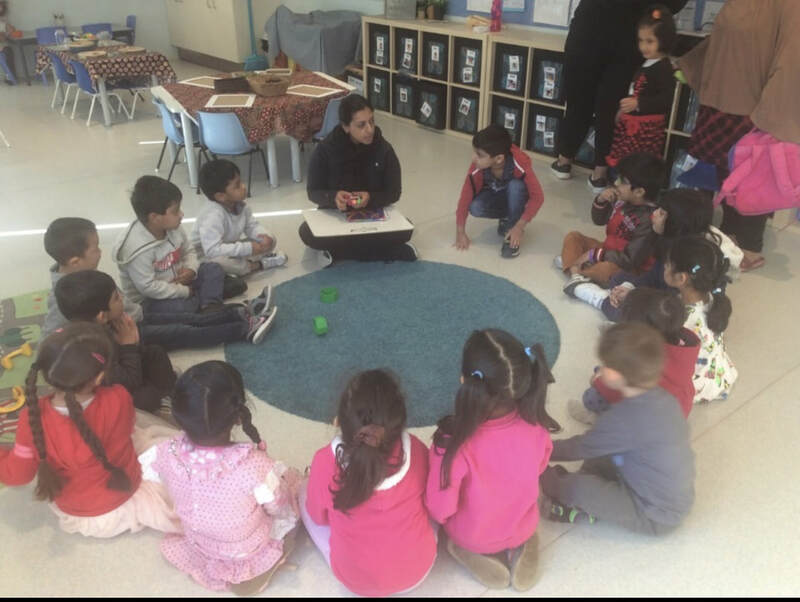 During this period the children completed a large variety of different activities and excursions with the different educators at the centre. 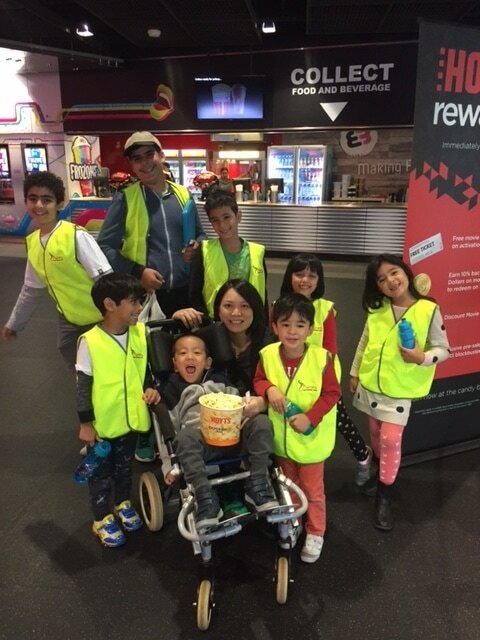 We started off the program with an excursion to our local cinema where the children watched a movie called Boss Baby. The children thoroughly enjoy our excursions as it’s an opportunity to be out in our local community. The following day the vacation care children completed in a bake off! First the children made waffles from scratch, next they made cake pops and then they got to decorate their cake pops using a wide range of icings and decorations. Each day the Vacation care children continued to participate in activities which were planned and spontaneous. 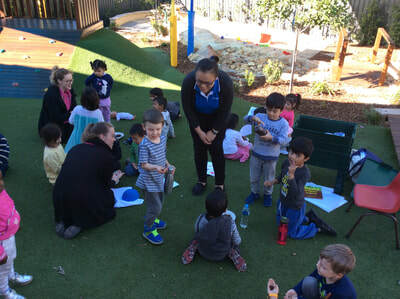 On the thirteenth of April the centre celebrated Easter by having a morning tea with our families. The Vacation care children were heavily involved in the day and helped all of the other children to complete art and craft activities. On the day the favourite activity was decorating biscuits with icing and sprinkles to make them look like Easter eggs. The following week was very busy with an Incursion and an Excursion. On Wednesday the Nineteenth a Reptile show came to the centre and displayed a large variety or Reptiles to all our children. 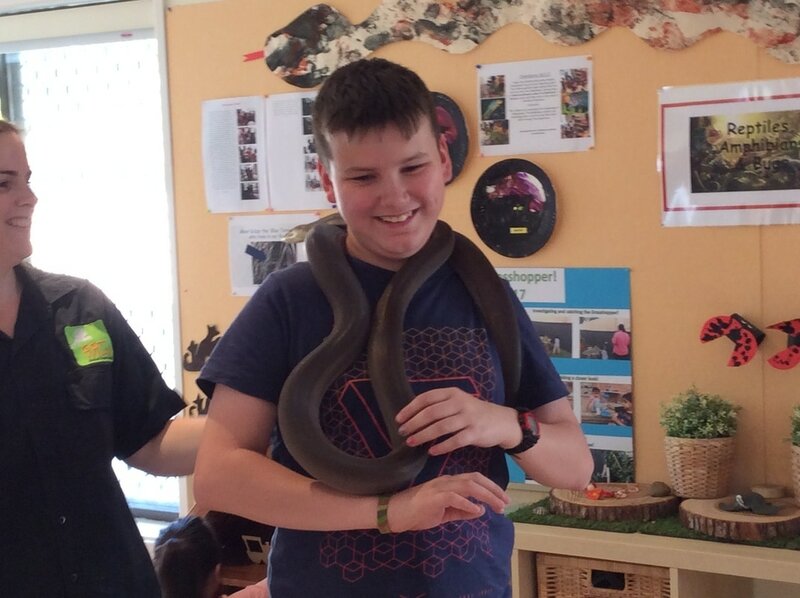 During the incursion the Vacation care children asked questions about the Reptiles and even got to hold a snake! On Friday the twenty first the children went on an excursion to Featherdale! The children all arrived eagerly at the centre in the morning looking forward to the day ahead! At Ten the children and two educators gathered together and made the short trip to Featherdale. Upon arrival the children were discussing which animals they were looking forward to seeing the most! 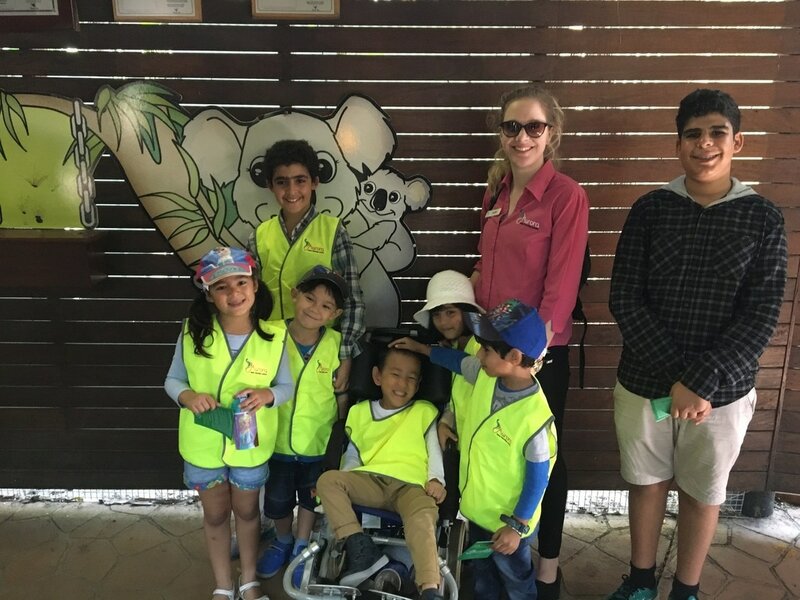 Once inside the Wildlife park the children had the opportunity to walk around and interact with the different animals and also feed them. This excursion was definitely the highlight of our Vacation care program!